Beginning June 2018, F3 Toledo began a region-wide Monthly Ruck Event, with the Cadre being one of our own, the “Quadre”. The Quadre designs and delivers a special event to the rest of the PAX. The Quadre determines the location, date, time, route, theme, etc. In simple terms, he is responsible for the outcome. 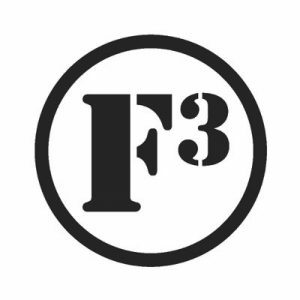 In the spirit of F3 and mirroring GORUCK, the Quadre plans a related 3rd F (charity, service, anything 3rd F) associated with the event. The only guidelines are that the event must be within the Calendar month, and a minimum of 3 hours. The Quadre can make the Ruck Event anything he chooses. Sign up to be the Quadre of your own Monthly Ruck by messaging Bambi, bring your PAX together with all 3 F’s, and show off your leadership skills!